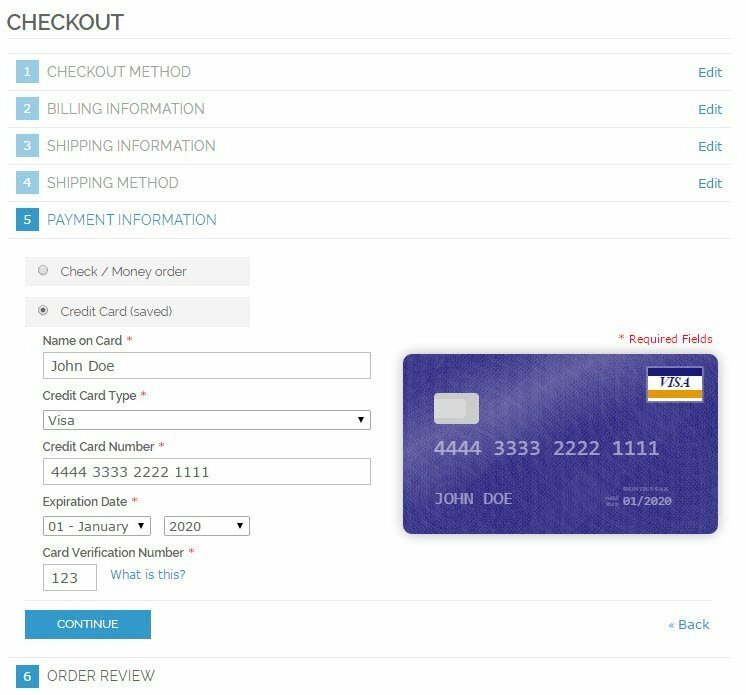 This extension adds a credit card visualization while customer typing. 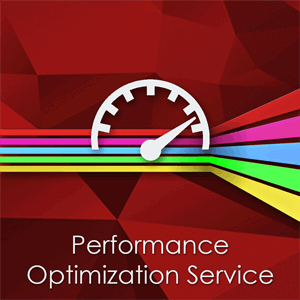 Decrease your abandonment rate by making your store more user-friendly! Prototype JS library is used. 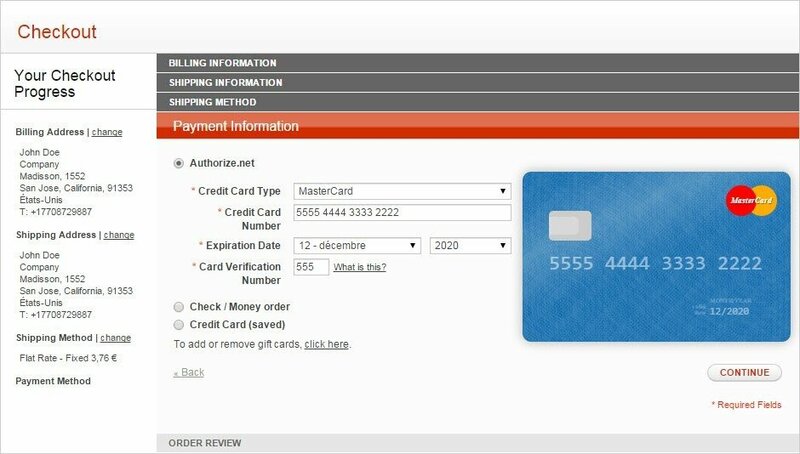 Credit Card Visualizer Magento extension is designed to make Magento checkout more convenient for your customers. 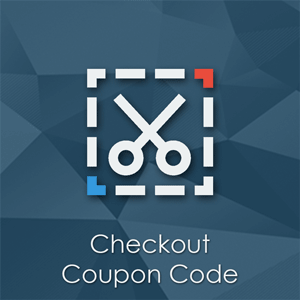 According to statistics, checkout is the stage where merchants lose about 75% of their money. Users abandon carts because of many reasons and complicated checkout is one of them. According to the MasterCard research, most web-stores lose 18% of customers just because they believe that the checkout is too complicated. It's hard to believe, but many people (especially elderly people) don't know what CVV is. Did you know that percentage of the elderly audience is growing every year? 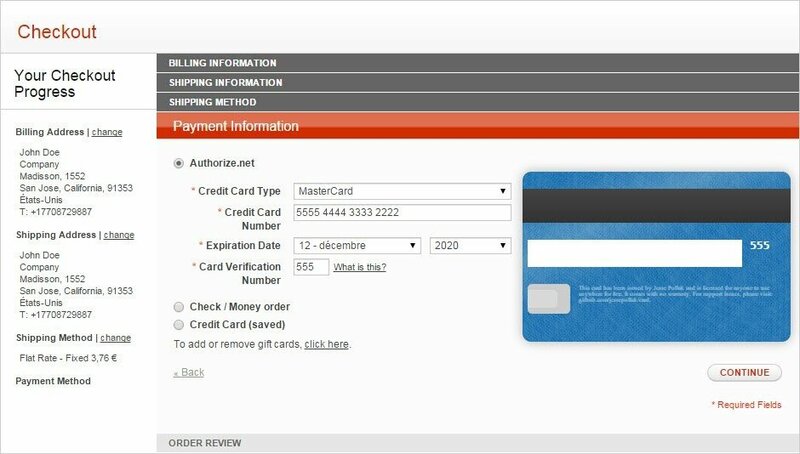 Credit Card Visualizer Magento extension simplifies Magento checkout due to visualization of credit card form input. 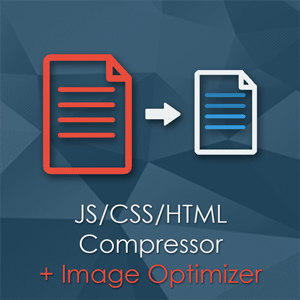 It improves the user experience and reduces errors. 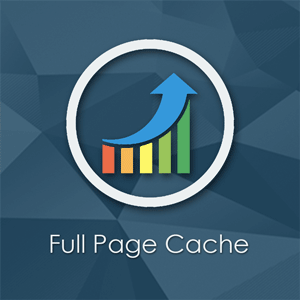 This, in turn, favorably affects the conversion of your site. 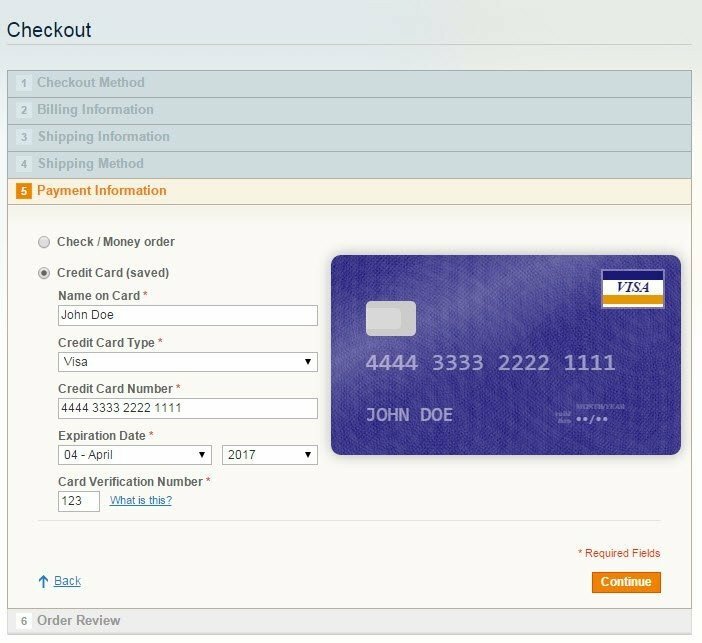 Credit Card Visualizer Magento extension validate each entered characters in the credit card forms, and makes it impossible to enter invalid characters or exceed the maximum possible length of the field. 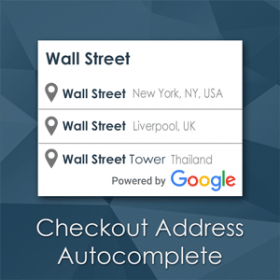 Each character entered is visualized in a special section to the right of the credit card form - it helps visitors to detect a mistake when entering the card number, expiration date and CVV code. 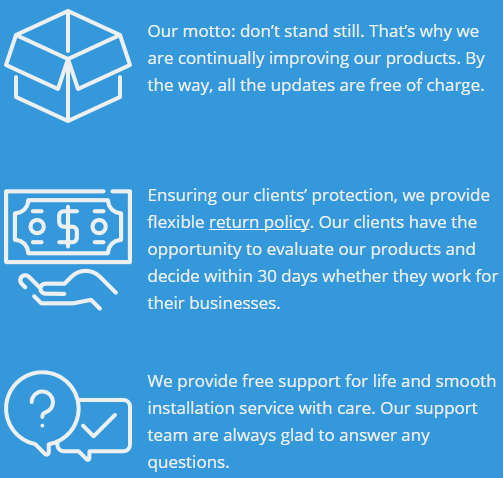 Your customers will clearly understand what they need to fix following the prompts on the screen. 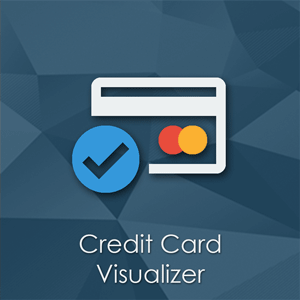 Credit Card Visualizer Magento Extension automatically detects the following types of credit cards: VISA, VISA Electron, Maestro, MasterCard, Dankort, American Express, Diners Club, Discover, UnionPay, JCB. It will work with other credit cards as well - an image placeholder will be used instead of beautiful and colorful images. 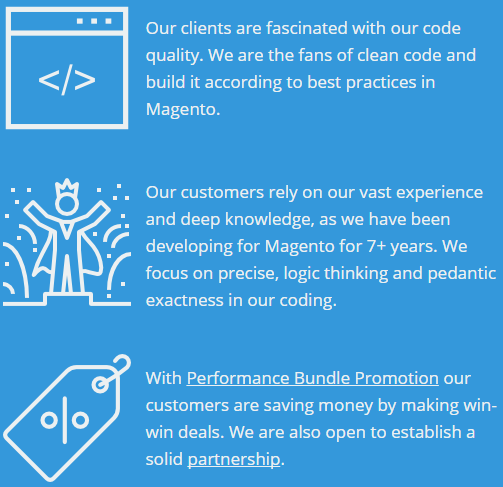 The extension does NOT use Magento Rewrites. This fact greatly reduces the possibility of conflicts with other extensions. That's a nice extension for my checkout. It looks fancy. It uses prototype, not jquery library. It makes checkout faster! These guys at PotatoCommerce a so efficient. I'm using a credit card payment method that wasn't compatible with their extension and they made it support my extension in under a day. It's a small extension, but it's quite nice for user experience. My credit card payment method module wasn't compatible with Potato's extension, but they made it compatible in under 2 hours. These guys are simply efficient, no question about it. After installing this extension my store gives 404 error or a blank bage. Yes, this extension is compatible with this patch.